create a competitive advantage for your enterprise. Stories in the press about IT project failures abound. The largest failures in IT occur as a result of projects that fail to deliver business value on time and on budget. To ensure the success of your projects from the beginning, use this project charter template to initiate your project. Does technology play a strategic role in your business? Use this simple template to assess the strategic return on investment provided by your technology investments. Do you know the business value that Information Technology is providing in your organization? Use this survey for executives to get a quick read of the value of IT in your business today. Most people think of IT as a back office function. However, when done right, IT has the potential to drive business success. Read this guide to understand how to evaluate the use of IT in your company and how to leverage it better. There are several decisions regarding IT that should not be delegated to the IT leader. These include which functions in the business should receive IT dollars and how much automation is necessary in the business. Read this guide to learn how to align your IT investments to your business goals. Mike Scheuerman wrote the book on IT Outsourcing. Read this short e-book to determine where you are on the outsourcing continuum, how to proceed to the next step and how to get around pitfalls and do it right. Successfully navigating the waters of mergers and acquisitions can be extremely challenging with many complexities and opportunities. We created this presentation to help your new enterprise become a fully functional, engaged, integrated and confident organization. © 2018, Virtual Information Executives, all rights reserved. Thank you for your interest in the VIE Resource Library. Please complete the form below to download your new resource. 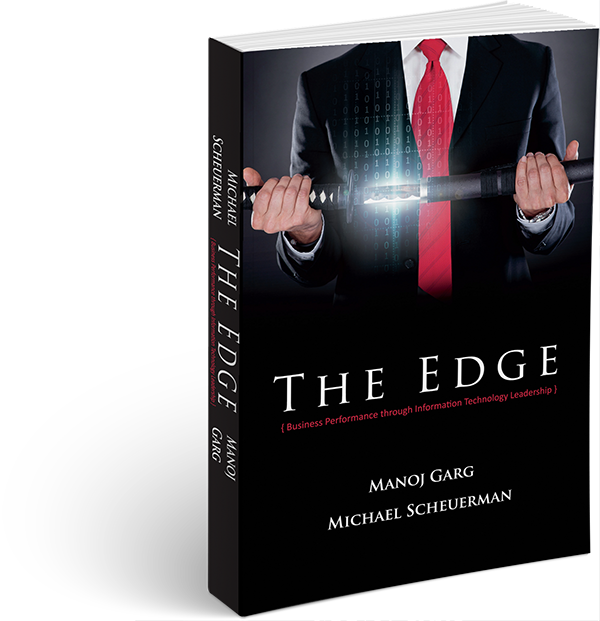 A book written to help executives understand their IT organization in new ways.